New G3 owner here, just acquired a basket case 1960 G3 and I have a few questions. It needs all the wood replaced and I think I'm going to raise the transom to accommodate long shaft outboards unless there is a good reason not to. I have a 1973 mercury 115 and an evinrude 70, 1975. Which of these 2 motors would you use on the G3 and why? Both have power tilt/trim. I would also love to see some members raised transoms to get an idea of how to make it flow into the rest of the stern of the boat. As a side note, I'm going to separate the top deck and noticed the original rub rail was wood wrapped in vinyl printed with a wood grain look. Firs time I've ever seen a wood rub rail insert on a runabout. Is there an insert that will fit the original rub rail? Mr 60 : HELLO , WELCOME , CONGRATS.. I am sort of Mr 59 here in east Tenn. got the same cond 2 months ago.. This would be my 3rd centerdeck..A lot of your decision should hinge around if the original SPLASHWELL is still with the boat.. If you got the ALuminum trim for the rear transom & corners. I would stay with the 16" SHORT transom , & hopefully the 70 hp is short or can find a short lower.?? ...Guys do have 6 cyl on this model , BUT it adds a lot of weight, adds to the porpuse ride effect till it is eventually balanced (Dialed in , etc) I would not encourage you to sell either motor , & there is a Mid Atlantic Glasspar club chapter out of Chicago if you are interested.. Did you get a windshield & side Medialions / Logo starburst with rig.?? No the wood rub rail is not original..WEFCO. or Webco here as a advertiser can get New rubber... Take off the rear trim & try to pull / slide backwards away from boat... Rivits can be drilled off at the heads,, round PUNCH & hammer the small stud into the floor area. Sweep up later.
. I have some short Merc 65hp & 80 Hp for my restoration.. AGAIN WELCOME.. Thanks for the welcome, this seems to be a very helpful bunch. 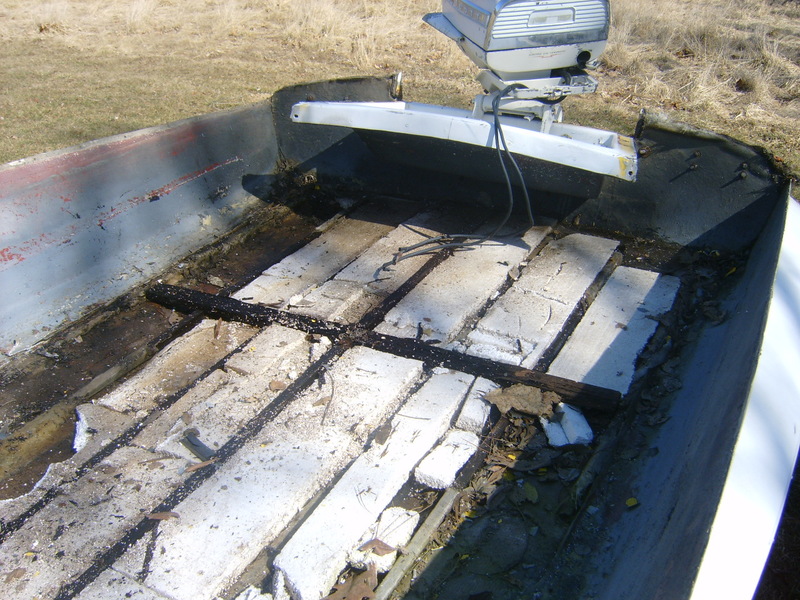 Yes, the boat did have the transom trim pieces, but the left outer corner was cracked. No windshield, medallions are there on both sides. Splashwell is there, transom is so rotten, I think you could grow corn in it! I just separated the top deck from the hull today, not a bad job. I was asking about power because those are the 2 motors I have right now, but both are long shaft. It would certainly be the least expensive option for me to just raise the transom, but part of me does want to keep it as original as possible. The 115 Merc is only about 60lbs heavier than the 70 evinrude, but porposingeverywhere I go isn't very fun. Just not sure at this point as I've never even seen one of these boats in the water. Have you seen one with a raised transom? How do they look? .."60". 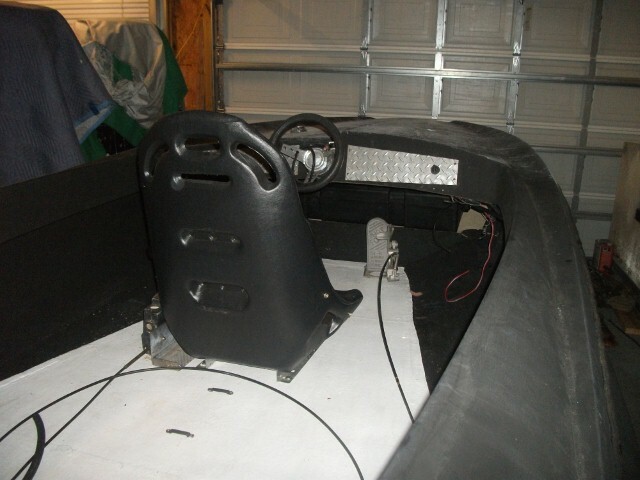 : I have owned TWO with the raised transom.. Here are some PICs for you . 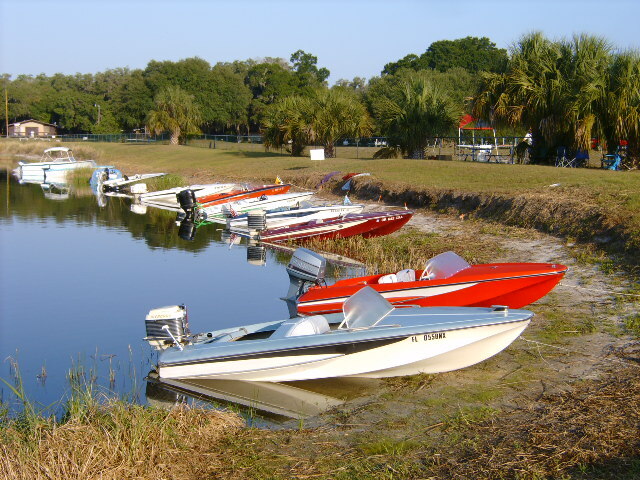 Orange was last March at boat show in Mt Dora, Fla.
. We had a small Glasspar rally last summer here in Chattanooga , Tenn ..These TWO G-3 had 50 hp on & at anchor , water level up to sponson ..! You can read down thru this forum for more pics in water. .
Wow, that looks like a newer 50 Merc, how much does it weigh? Maybe the 70hp evinrude is too heavy? 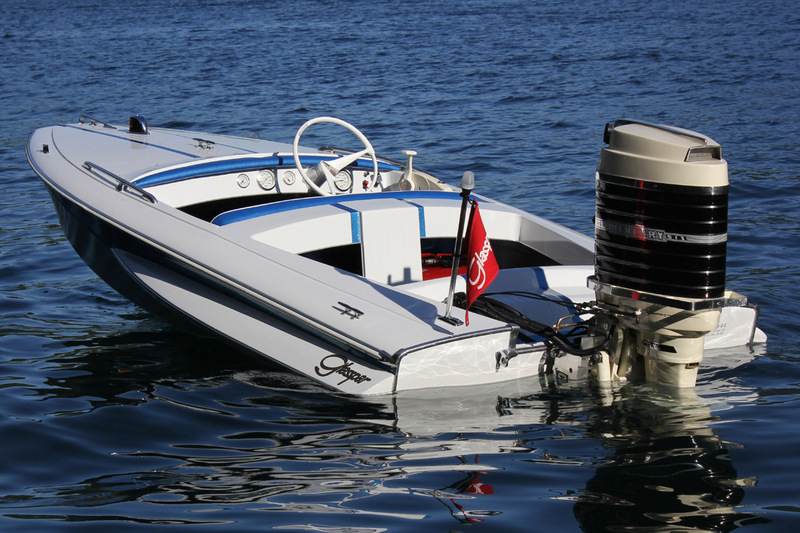 Do these boats take on water over the transom if you throttle back quickly? I wonder if there is an "ideal" outboard for these boats? What did they usually come with new? Mine has a quicksilver cast aluminum steering wheel, so I'm guessing it had Merc power. Thanks for the Picts, they sure are beautiful boats! motor. Later they were rated for a 65hp motor. Remember in those days OMC (Johnson/Evinrude) only made up to 75HP. and Mercury's top was 80 hp. and they did not weigh much more than 200 pounds. A G-3 with a 35hp motor is a nice little package. the boat up for speed and get to about 50mph, and it's fun to drive. than 85hp you start to get into something that a G-3 was not designed for. to handle the 20" long shaft motors. I don't know of any manufacturer today who is making 15"
motor well stay in place. That way you keep close to the original look. You just have to be willing to be creative and know how to use fiberglass. Keep us posted on your progress. Find the pictures of the International Rally! Somewhere in the archives. G3's tend to sit low in the back with any motor. slowing down is done easily not abruptly. All high Performance water craft have that tendency. Motors have been attached from 35hp to 150hp. All ages and Manufactureserss. BIG HP Thrilling, scary and good for short rides. Originally placarded for 60 hp. Porposing is not caused by weight or HP it is a function of the bottom shape. the bottom should be flat at the transom. (check with a 6ft straight edge. If it is concave the bow willride low at speed casues and if it is convex the boat will try to porpose easily.) 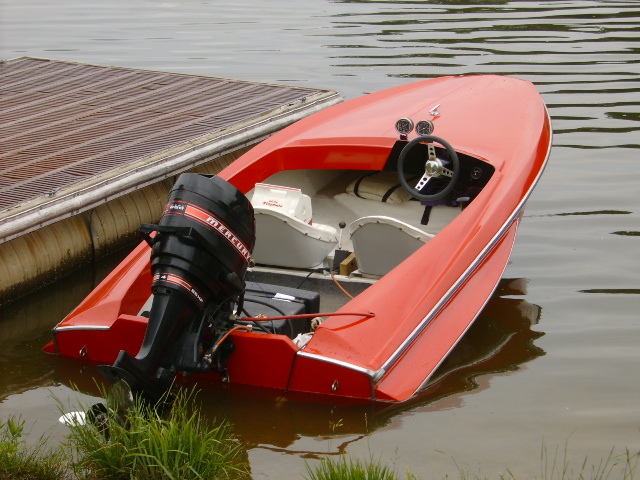 To go fast with best handling the motor trim will carry the bow well out of the water. With the bow a little low you can feel the boat accelerate in1 to 6 inch wind waves. the hull is flying with less in the water. So there is no optimum motor. Run what you brung. I know where a short white merc 850 is stashed, a 75 McCulloch, a short merc 1000, etc. John C, your boat looks absolutely beautiful! 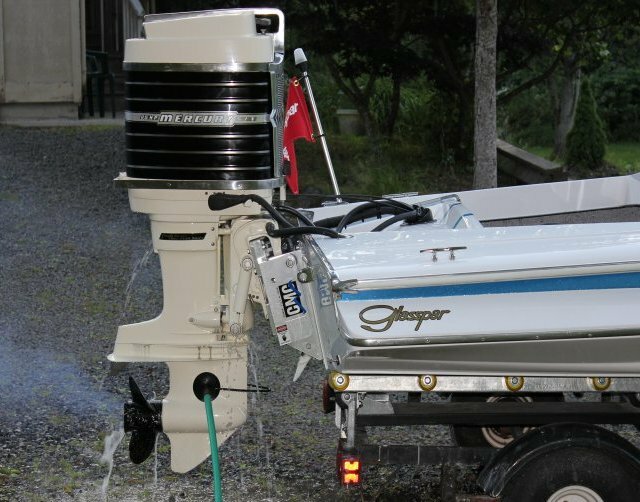 I really appreciate all the input/ help, I'm thinking the evinrude is what I'll be using after seeing your boat. My 70 is basically the same thing, with a long shaft. I'm new to fiberglass work, but I'm looking forward to the new experience. Again, thanks for the help, I'm sure I'll have more questions as the project moves forward. I wonder how many closed decks are still around? Is there a registry or something? Wow, Pony, where are you located? Close to Aurora In.? I'd love to see your boat, I like the look of your transom. 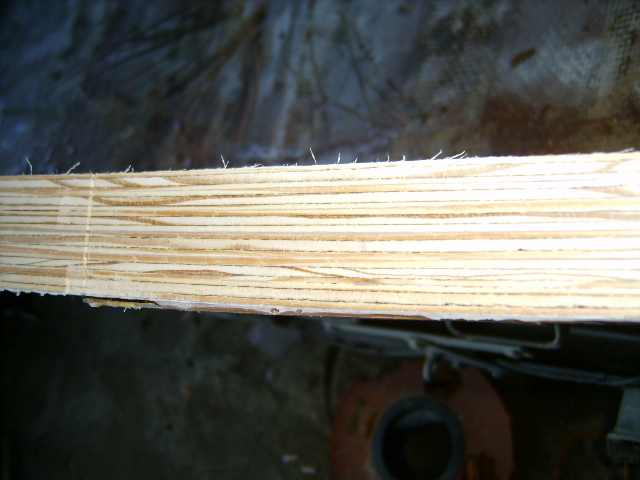 Did you use marine plywood or some synthetic like coosa? Would be great to talk to you if you are close. No navigation lights? My boat looks like it never had them either, I thought it was unusual, mabe not? Welcome to the G-3 World!! Best and nicest boat ever built! I raced one from 1960 to 1974 with a 75 Johnson, and now 7 years ago I bought another 1960 center deck and I now have a Merc 1000 (100 hp) on it. 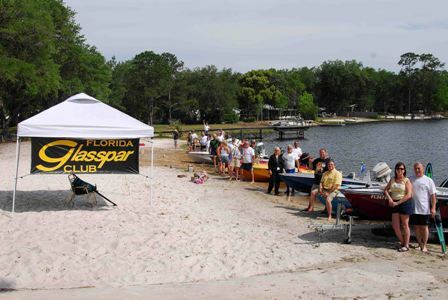 We have the Florida Glasspar Club with many Gl'asspar G-3 owners who have restored their G3's. Here is a pic of mine and pics of our G=3 Rally we had here in Florida a while back!! which is not active anymore but kindly kept alive so we can access it. Exploring this you will find many photographs of raised transoms (with variations on style) and some good tips on replacing the wood and raising it to above 20" (refer to some of the posts which recommend 21" at least). When you do replace your transom I suggest you create a 'well' in which to place a bilge pump - you'll see several pics of this also. I'm betting you will have a few laughs as well. I would tell you to keep the boat totally stock with the 15" transom, and put a 80-100 hp short shaft on it... heh, because thats what I did. The motor is really the smaller cost of a restoration. 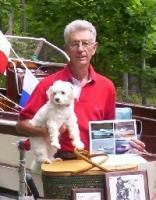 I had twice the money in my G3 hull work than I had in the motor restoration done by a pro. Im about 2 hrs from you, just north of Indy. The 70hp omc is a good motor for the G3, looks like you might be close enough to the Ohio river to use it. I would go with a 22" transom height as its easer to cut it down than build it back up, but it depends on what your going to use the boat for. I go for the spd boat thing but not every one does. I didnt use any fancy expensive wood or anything for that matter, go to the libary and see if they have any fiberglassing :how to: books or look for them on ebay ,if you have limited experiance, what you do under the paint is more critical than the paint, good CLEAN bonding is the trick, most if not all midwest G3s need eveything! Glasspar used....well lets just say Quick methods in production. I have all the original trim for mine and it will be a a 15 INCH transom when I am done. I like the original lines and the original lines were set up for 15 inches. The 20 inch transoms IMO make them a bit chunky in the rear. 20 inch motors expecially the BIG inline Mercury 6 looks waaaayyy to tall. Again my opinion. I have about 10 short shaft motors from 60-155 hp so this may be another reason I pick 15 inches. The shorter motors look better and more "racy"
Also if you build it for 15 inches you could use a 2 inch set back jack plate to use your 20 inch motor until you found a 15 inch substitute. My 1960 G-3 came with a 1960 700 DR inline 6. Probably my favorite motor for this boat and probably what will go on it. I am right there with you Conrad... except I'm not sure I could handle a DR motor... my attention span is too short, I would be busting docks for sure. 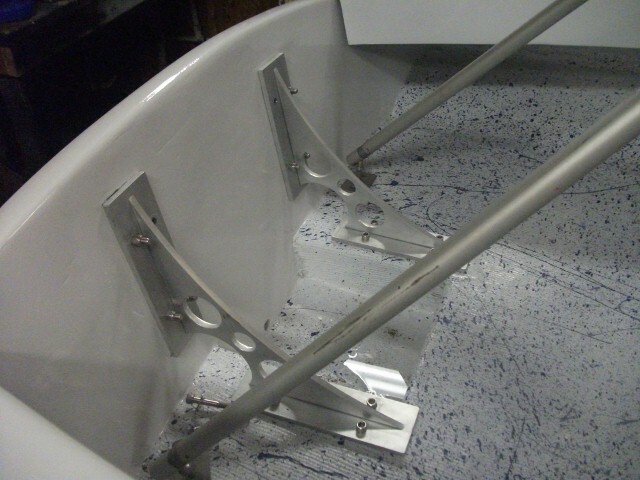 I don't worry about the low transom height even with my CMC, there is plenty of splash well to contain the wash. Even when I get off the power quickly, I dont get any real water over the transom. Shortshaft, is that your black open deck with the V-6 Merc beast on the back? I saw it in a video taken around the time when Thom was down visiting you guys down in Florida. the BIG inline Mercury 6 looks waaaayyy to tall. Yep, for once, Milkdud, we AGREE on something! ugly Mercs! HA! 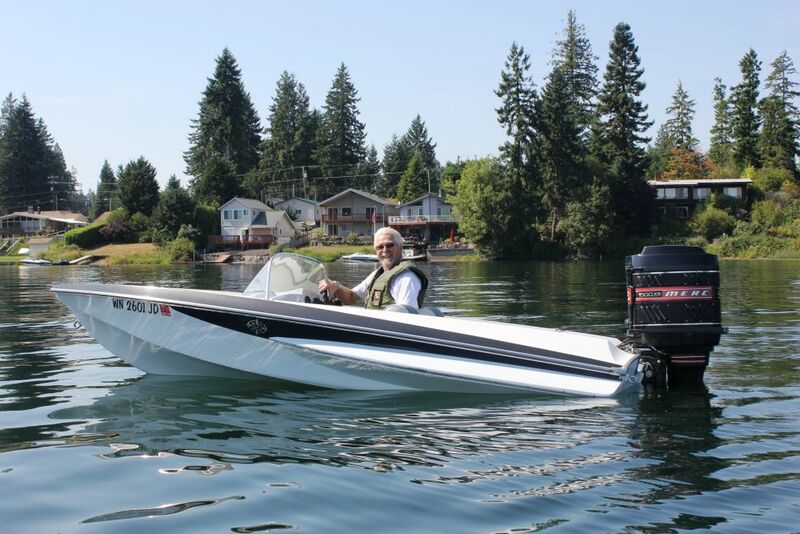 GO WITH THE EVINRUDE, unless, of course, you REALLY enjoy tinkering with your outboard in the middle of the lake in the 100 plus degree summer heat, in which case the Merc is the ONLY choice.... HA! Even when I get off the power quickly, I dont get any real water over the transom. gee, Dean, maybe be from lack of forward momentum....ya think? HA! That 2009 Mercury 50 H.P. Two Stroke on my boat weighs 204 lbs. Water does NOT come over the back of our boat when you slow down or completely chop the throttle. Like Dean, I prefer the look of the stock transom on the G-3, but as the members said, that is personal preference. I will try to get a picture up for you of how my engine is mounted on the boat Sir. 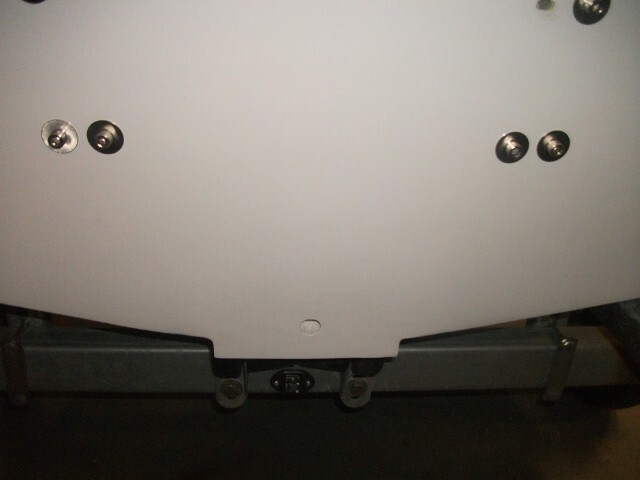 I mounted a "Bob's Machine Hydraulic Jackplate" on the transom and am really happy with it. I have the ability to raise or lower the motor while I am underway in the water. Nope NUT... PLENTY of forward momentum. The faster you go, the less wake you make. Of course it may be a different story if I had one of those squatty, white anchors hanging off the back of my boat. Do i need to show you that film strip again? HEH! Last August I drove over 900 miles, each way, to get my first G3. It had a 1963 65Hp Mercury on it, which had a bad lower unit. So instead of putting more money in an old motor, I bought a 1982 75HP Johnson that had just been rebuilt, and had power trim/tilt. I had to build up the transom for the longer shaft on the Johnson, but that was no problem since I needed to do some transom work anyway. It seems to me this is the ideal size motor for this boat. Sure, you can put more HP on it, but just for skiing, tubing, and cruising around, I think I'll be happy with the HP I have. After several months of working on it, I put it the water for the first time 5 days ago. Every time I hit a few noticeable waves,I kept thinking I hope there's not a crack in the hull that I don't know about!!! So far, so good! I ran a 1960 center deck from 1960 to 1974 with a 75 hp Johnson, racing, when set up for speed, skiing many weekends, etc. 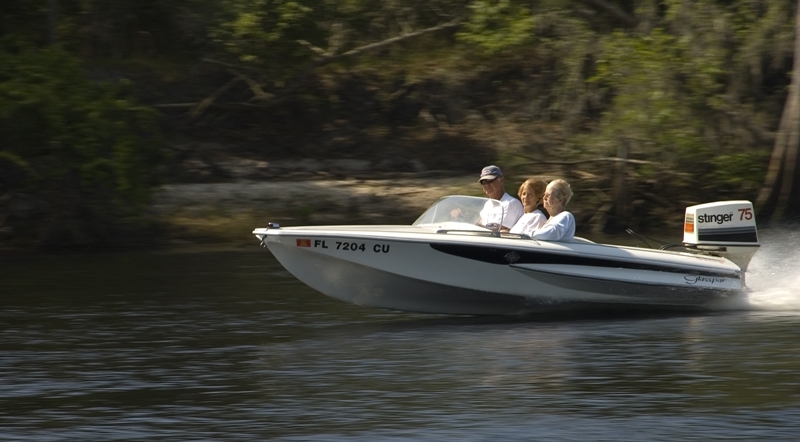 The 75 hp is ideal for a G-3. Jim Your Head has Swelled since you got that 1000, till then all you talked about was your Mighty Merc 650 and not a mention of it in this thread?Ha, The 650 is probably one of the best matches for all around use with an original g3 imo. Yep, lots of good free advise but we all should know what free gets you, so take it all with a grain of salt. I'm in the minority liking short shafts and motors for g3 from 65-100hp. I wont raise a transom but will put a adjustable jack-shaft on one like Wade S. made a couple years ago. As Dean said stopping with a 15" transoms not a problem, If I ever stopped fast just a turn before stoppng makes the wake flow sideways . Any progress pic's of your g3 '60'? B.. I apologize!! Yes, the Merc 650 is ideal on a G-3 and I truly enljoyed running it, but was tired of those pesky OMC 70 hp and a certain Stinger being just a bit faster than me!! 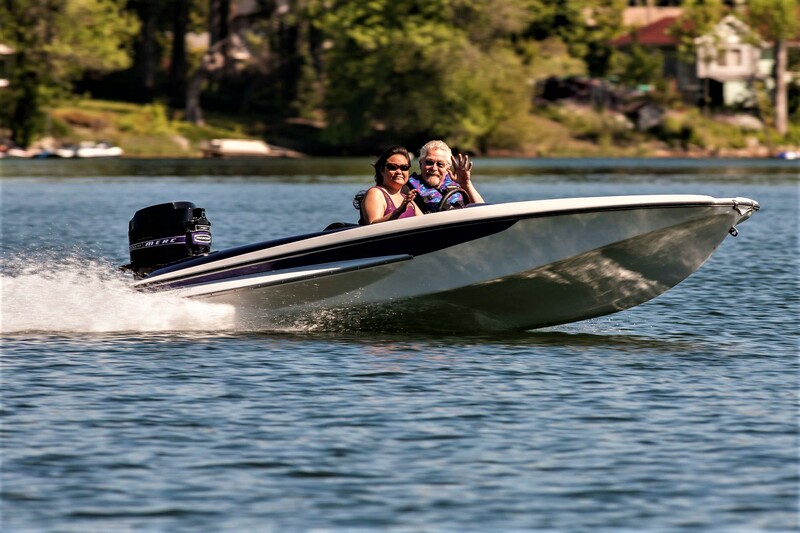 I raced boats for 20 years and at age 73+ I still like to get there FIRST!!!! Gotta get a battery, and I will be running the Merc 1000 now that I feel a bit better and the weather is nice here now. Hey Jim a battrie does not cost that much so no more excuse's for not putting the boat in the water and some pic of it flying. No more talk just action. Yes Sir, Captain Pirate Mike!!! Will do soon!!! Just got the new Merc 50 hp motor on the boat today ..We are having a problem with porposing at slow and high speeds , Don't want to go over 3500 rpms it gets worse..But this didnt happen with the old 1978 70 hp Merc I heard of all fixes underneath the boat that could stop it My neighbor said in the old days they would run a strip of Silicone on the edge of the bottom of the boat ?? IF that was MY G3, I would have nothing but a 1960 restored Mercury DOCKBUSTER on it. I have a Glasspar G3 that I had refurbish (1959 G3) and have the same motor that you have (Johnson Stinger 75HP short shaft). I like to know what kind of prop and pitch that you use on your motor? I like to know what prop and pitch that you use on your Stinger motor?? Here is a picture of Mercury Momma's '66 G-3 powered by a 15" Merc 850xs with power trim. Very nice combination IMHO, and much more docile than Wild Thanggg powered by a short shaft Mercury 1500xs.